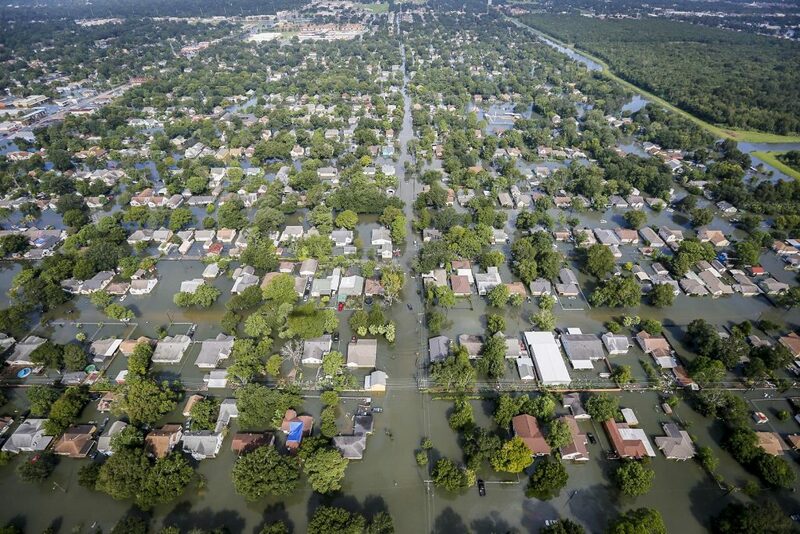 Across the nation, floods, hurricanes, droughts, heatwaves, and fires have become more frequent and more severe, increasing risks to people, homes, and infrastructure. Recently, we’ve seen storms and fires ravage communities from Puerto Rico, Texas, and Florida to California, killing Americans, upending millions of lives, and costing countless dollars in damage. In just over the past month, nearly 200,000 homes have been destroyed or damaged in Texas, Puerto Rico and the U.S. Virgin Islands, and more than 40,000 people are in emergency shelters. And, the fires still raging in California have burned 140,000 acres of land, destroyed over 8,400 structures, and about 100,000 people have been evacuated from the fire zones. While our immediate thoughts are with those whose lives are affected by these disasters, it’s crucial to harness these moments to look toward future resilience, sustainability, and equity. How will these regions rebuild? And critically, how will the voices and needs of all people, including low-income communities, be incorporated into the rebuilding efforts? How can we ensure the funding that comes into the region serves the most vulnerable? And how can the recovery effort leverage lessons from prior disasters like Hurricane Katrina and Superstorm Sandy? With these questions in mind, I offer a few recommendations to increase the resilience of fire- and storm-vulnerable regions by incorporating innovative infrastructure improvements that bridge gaps in technology, power, and communications while improving the safety and resilience of impacted communities. In many cases, communities on the ground, planners, designers, and builders know what type of mitigation strategies work. Now it’s up to us—policymakers, businesses, philanthropists, activists, and advocates—to ensure we have the will to make it so. Hurricanes Harvey, Irma, and Maria’s tempest winds downed power grids for millions of residents. In countless towns and cities throughout the U.S. Virgin Islands, Texas, Louisiana, Florida, and Georgia, power grids failed for hours, days, and weeks. In Puerto Rico today, 90 percent of the island’s 4.5 million residents have no power, and potable water and food stocks are in short supply. Experts predict it will be at least four to six months before the grid is turned back on, leaving the island without necessary power for critical life safety equipment, communications, lighting, and cooling for far too long. For many communities already living in vulnerable circumstances, lacking affordable housing, and just barely making ends meet, a life without power is devastating. What happens at the block level matters. When power fails in a multifamily housing development, it has immeasurable impact across the neighborhood and country: families without communication tools face compromised health and safety and the inability of workers to get to their jobs reduces production, hurting local economies. Additionally, if first responders can’t access communities, it creates slow rescue and recovery operations and delays delivery of critical supplies to storm-ravaged neighborhoods. Meanwhile, non-operable lighting systems put entire communities at security risk and hamper the small and large businesses that fuel the nation’s economy. Building community-based micro-grids and reducing dependency on central power grids will increase the resilience of community power systems. Such systems would continue to provide power to communities when the central grid goes down. They would also provide training to local residents for jobs and help encourage a green energy future. With advances in solar thin film technology, energy generation can be embedded in building reconstruction to mitigate wind-born panels, which was a major source of damage in the U.S. Virgin Islands. 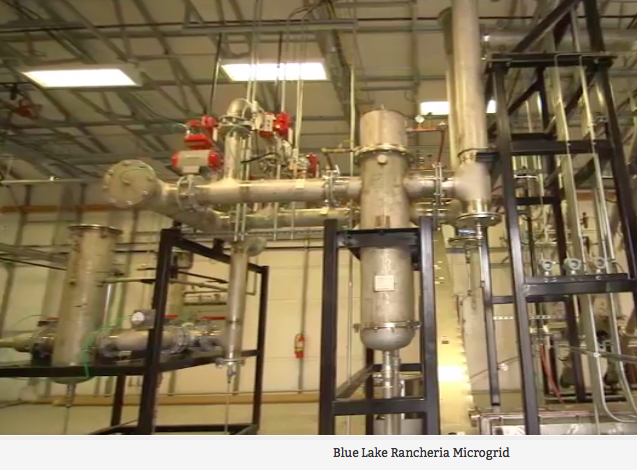 A micro-grid system is already in use in the U.S. on the Blue Lake Rancheria, a Native American reservation in Northern California. The reservation developed a micro-grid in partnership with Siemens to power the entire 100-acre community, including government offices, a casino, hotel, and critical Red Cross safety shelter-in-place facilities. The micro-grid is powered by a 0.5 MW solar photovoltaic installation — the largest solar array in Humboldt County, a 950 kWh battery storage system, the existing biomass fuel cell system and diesel generators. The system is estimated to reduce emissions by 150 tons of carbon per year. In 1,500 communities across the country, participatory budgeting has become a progressive way to plan budgets and build community infrastructure. This format incorporates the input of many diverse community members on a given project or budget. For example, in a traditional participatory approach, community members are convened by leadership and asked to vote on particular options for their community infrastructure–a new school, a capital improvement, or an increased budget for services. This same planning tool can be applied to post-disaster rebuilding. 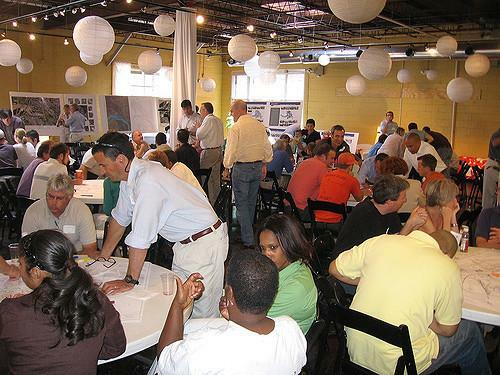 For example, to support the rebuilding of the New York City region after Superstorm Sandy, the New York State Governor’s Office of Storm Recovery initiated an innovative planning process called NY Rising that set up local community committees to vote on and inform the way that funding would be disbursed across their neighborhoods. This level of community participation ensures that rebuilt infrastructure reflects the priorities and sensibilities of the people it serves, encouraging a sense of community stewardship. Build with an “all hazards” approach. Often in the design of buildings and infrastructure there are certain hazards regulated by code – usually fire, wind, and flood. While these may be the most extreme climate hazards, they are not the only hazards communities throughout the nation face. We should employ an “all hazards” approach to building and retrofitting homes which incorporates all hazards faced by communities – drought, fire, flooding, and extreme temperatures, for example. Designers can conceive of buildings that fit every possible condition, but the conditions need to be stated, stipulated, and required by owners and underwriters of buildings and infrastructure to direct this approach. Employing this approach ensures buildings are resilient to a variety of potential impacts. Bridge the digital divide to keep rural and low-income communities connected during disasters. Most rural internet is run by voice-band, which is often too slow to support modern internet connectivity. Many of the communities with limited, unequal access to better internet options are home to thousands of workers that fuel local, state, and regional economies: Their ability to communicate matters. With insufficient broadband access, they can’t access critical government services like social security, federal student loans, and online portals to support tax filing and food stamp applications. Building radio high frequency radio antennas to support broadband is critical to creating equitable distribution of WiFi. 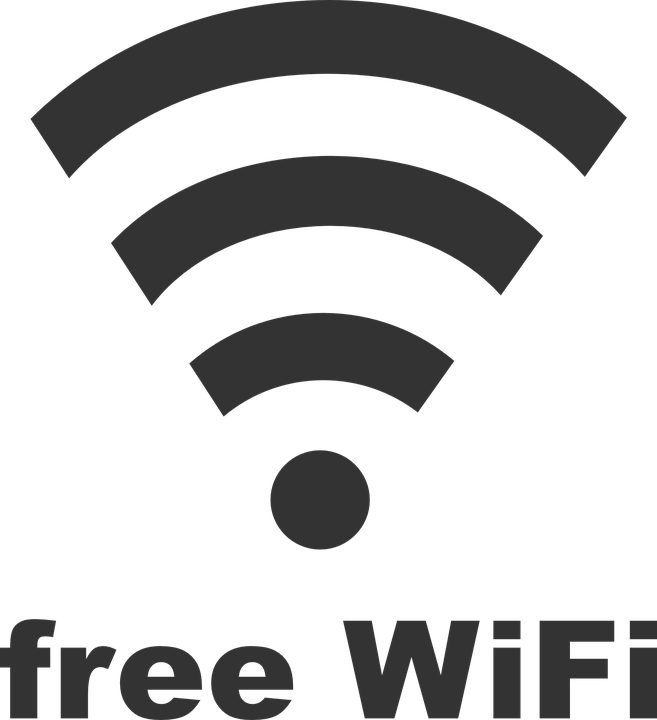 We should also ensure there are mini communication hubs set up to power the WiFi when the central grid or micro-grid goes down. This work is already happening in parts of rural America. Microsoft has an initiative to extend broadband access to rural America, aiming to connect two million rural Americans to high-speed wireless broadband by 2023. And the FCC’s Connect America Fund has a goal of bridging the rural-digital divide by expanding deployment of networks providing both voice and broadband service to the tens of millions unserved Americans. The Hurricane and Fire Season of 2017 will change many communities across the United States immeasurably. Recovery and rebuilding will take years, if not decades. By taking lessons learned from past disasters we can identify how to innovate infrastructure improvements, while bridging clear gaps in technology, power and communications. We can not only help communities recover from devastating storms right now, but ensure they stay strong and safe for years to come. Increasingly cities like Los Angeles are starting to regulate water use given the extreme drought that the city and region faces. Cities like New York are regulating energy use and fuel use given the hazard of extreme heat that the city and region faces.